4 6 position rotary switches with led indictaors, joystick to control other bends and a pitch control. HOW TO Use Online Beat Machine Sonic Producer Tutorial! MOTU Software Drum Module bpm! Experience the ultimate Beat Production MachineBPM unites drum machine-style operation with advanced virtual instrument technology to give you the ultimate rhythm programming experience. Combine drum kits, sequenced patterns, sliced loops and instrument sounds to realize your rhythmic vision, mixing and matching any playing style with any drum kit. Or plug in your pad controller or MIDI keyboard to capture your live, groove-quantized performance directly in BPM. INTRODUCTION to Native Instruments Maschine! This is the first in a series of 17 videos that explain Maschine, the upcoming computer-based groove production studio from Native Instruments. MACHINEDRUM vs. Acidlab Bassline 2! Thanks for watching this wee video! I recently got myself an iPhone 3G and I have to say - I'm really impressed. I don't want to sound like one of those Apple cult members but I am truly impressed with the hardware. It's powerful enough to run Quake (!) and is pretty good for music production so far! Here's a 606/707/808/909 application in action - you program the beats in the familiar TR-style, there is 4 patterns for each kit and all parts can be muted / solo'd just by touching the screen. Anyways, here's a little pattern I made just to show it off. It was kinda hard to play with the camera in front of it so apologies for the slight shitness of it. I have another app which has 2 synths and a drum kit which I will maybe show off soon! Before getting back to making proper tunes. Ahem. This simple 2 bar pattern contains a BBOX track that I manipulate with a 2 step arpeggiator set as follows: SPD x6, MODE KEY, PLAY TRUE, RNGE 2OCT 0JMP 0 and AMP, FLT and LFO trigs all enabled. Note that the two arp steps are represented by the first two (red and/or green) trig lights that I manipulate throughout the track. When the first trig is green the original trigs are playing in time with the music. When the second trig is green the "arpeggiated trigs" are being played. If you only play the second trig (and not the first) you basically get only the arpeggiated trigs which are "off" from the original beat by whatever amount based on your arp settings. This allows you to temporarily create a funky fill or break beat that tosses the downbeat into the air temporarily. If you pull the first trig back in after 2 beats then the listener can easily get back on track and you can keep the groove going. If you let the second trig play alone longer, however, you make things all the more confusing for the listener as the downbeat gets lost. I start out demoing with the music, then play the beats without the music so you can hear the offset more easily. The last part of the demo is tighter - the first part has a few little tempo flubs as far as me hitting the trig a little off. It also depends on the sounds you are using and the beats you are essentially "cutting off" as to how smooth it will sound. It takes some practice but this is a cool, simple, effective way to add some life into your drum tracks without programming fills manually, etc. This is a drum machine I made using Wiremod in Garry's Mod. Pretty simple. Video quality is really poor. You can get this kit at http://www.gadgetgangster.com/83 and build your own! Percussion in your Pocket. Feel the tiny boom! With a GrooveAxe, your beats will always be with you, so you'll never feel lonely again. JUST Drummin on the Drum Machine! CIRCUIT bent Grandstand Major minor! CIRCUIT Bent LOFI pure dirt! YouTube subscribers receive a 10 155833714 discount at http://www.JRRSHOP.com. Just enter the coupon code 'YouTube' when checking out to qualify. Sp1200 proto-type beats Soulfuricnation Benzworth Studio, original post HERE! Unit in good condition. 100% working. And sounds GREAT ! If you need any further information, feel free to ask me before bidding.. THE ART of beat making! 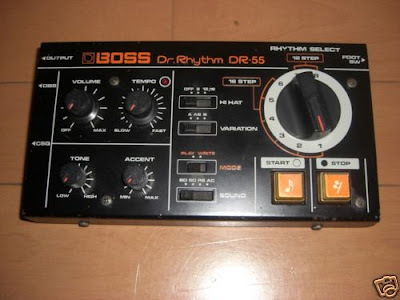 BOSS DR550 MK2 Dr Rhythm...for sale! 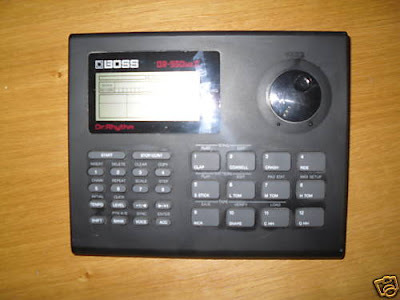 Boss DR-550MK2 D Rhythm Drum machine good used condition but it has no box or insructions. It runs on batteries but has the option of an adaptor (not included), Adaptor and instructions are avaliable directly from Boss. I decided to sell my old roland mc303 so I fired it up and made this pattern to test it out. Then I drank a little to much beer and decided to video it. My wife thinks I'm hilarious and she is probably the only girl who will ever see this. The video stops short of the audio. In very good condition. Works perfectly with batteries, but I haven't got a power adaptor to test if it works with the 9V DC input, so don't know if that's working. 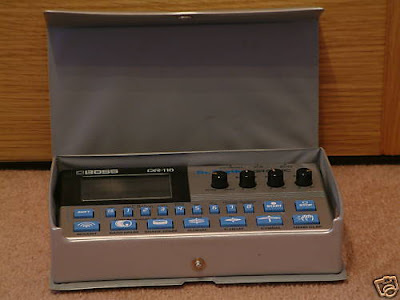 The Boss Doctor Rhythm DR-110 Graphic is a drum machine, produced by the Boss product division of the Japanese Roland Corporation in 1983. Boss were better known for producing electric guitar accessories such as effects pedals, and the DR-110 is similarly small and lightweight in size (190×110×30mm, and only 450g), and like most Boss equipment, could be run from a 9V d.c. supply or batteries. 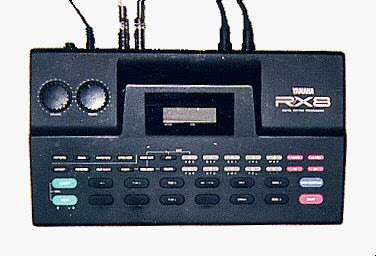 Although not designed as a high-end studio product, it nonetheless featured some noticeable advances in technology compared to previous Roland drum machines: it had an LCD graphic display, showing a step-programming grid for the various drum voices, and allowed the drum sounds to be played manually from rubber pads (as well as programmed). Like all Roland's previous drum machines, the DR-110's voices used analogue voice circuits. Tempo was continuously variable between 45 and 300 bpm. The DR-110 used a 4-bit Hitachi HD33790A44 CMOS microprocessor and 1KB of μPD444C RAM memory. In perfect working order with original carry case. 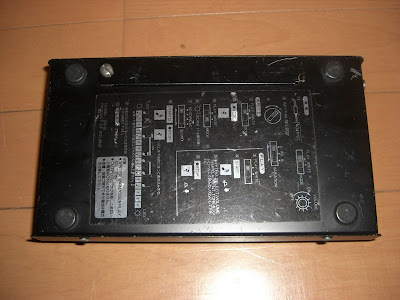 There are a couple of scratches to the front panel,as you can see in the photograph,and a little bit of rubbing to the front from the case studs.Runs on batteries (supplied) or with an adaptor (not supplied). The case is in good working condition,though a bit stained on the inside. There is no manual,if you need to know how to use this,there are instructions on YouTube! The Roland TR-606 Drumatix is a programmable analogue synthesis drum machine built by the Roland Corporation from 1981 to 1984. It was originally designed to be used with the Roland TB-303, a monophonic analogue bass synthesizer, to provide a simple drum and bass accompaniment to guitarists without backing bands. 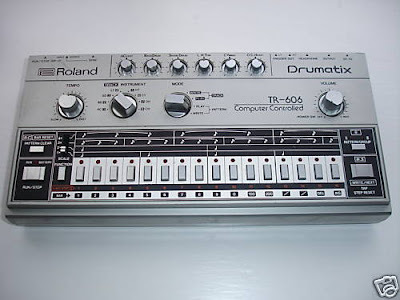 The TR-606 was part of Roland's line of "Computer Controlled" musical instruments that are now very highly sought after. The TB-303 and TR-606 launched in 1983 as a matched pair to provide solo artists the chance to practice without other individuals, solely using the TR-606 and TB-303 as drums and bass lines to practice to, but the programming and artificial sounds made the boxes uncomfortable to use and they soon lost their lustre. 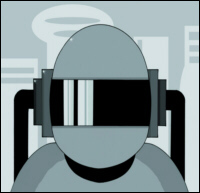 The group was doomed to an early demise as popular music soon shifted to sampled drum sounds and real bass lines for hit songs, as sample capabilities were the newest development of the late 1980s. At one time the TR-606 could be found in pawn shops for as little as $50 but since the resurgence in popularity of analog drum sounds for electronic music, the TR-606 will commonly sell for $300 to $400. Whilst it did not sell well at first, it did eventually become an integral part of the early acid house electronic music scene, and is still used by many electronic musicians today. 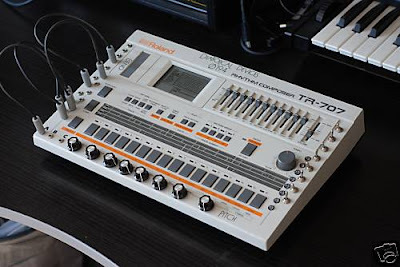 The TR-606 has six synthesized sounds labeled as: Bass Drum, Snare Drum, Hi Tom, Lo Tom, Cymbal and Open/Closed Hi Hat, as well as an additional function labeled accent, which serves to modify the timbre of the main sound set, rather than produce an additional seventh layer. BIDDERS OUSIDE THE UK…PAYPAL ONLY!! !,I only accept cheques from UK bidders. Please bid on this item only if you are SERIOUS about paying. Please pay within 7 days or I will have to re-list the item. I will leave feedback when I know that you are happy with the item.The faster the payment,the better the feedback! I may sometimes use recycled packaging,to keep postage costs down,and to respect the environment. I will do my most to ensure safe delivery,but I cannot be held responsible for items lost or damaged in the post.Please contact me as soon as possible if you require postal insurance. Please check out my other items or sale…Happy Bidding! ROLAND TR707 Vintage Circuit Bent...for sale! Up for auction is my beautiful circuit bent tr 707 drum machine in practically brand new condition. As I'm sure you'll already know if you're reading this, the 707 is a classic and extremely versatile 80s drum machine. 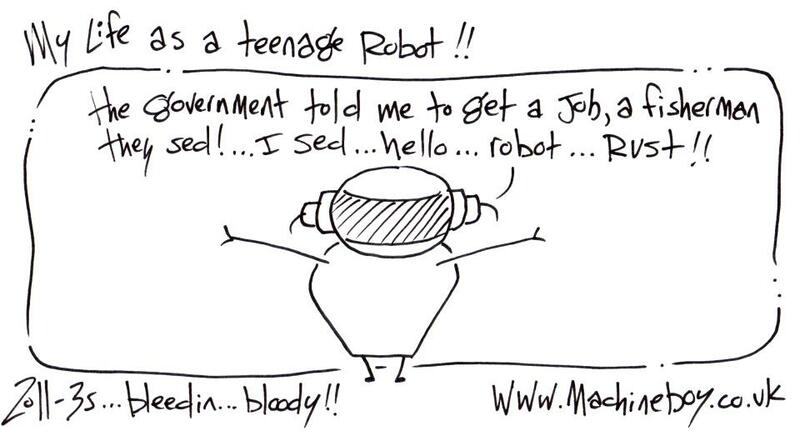 This one is a little special as it has been heavily modified by diabolical devices. Pitch oscillator controls have been added for all the sounds except the crash and ride cymbals (the black knobs along the bottom). The pitch sounds range from really high to seriously low and each oscillator can be turned on and off by the switches on the right for hands on realtime control. What's more each switch has its own led for visual feedback so you can instantly tell if its off (blue) or on (red) which is really useful for performing live. There's also a full bending patch bay which can create everything from crazy ring modulation and filtering to distortion and delay/doubling. Using as may different patch cords as you want you can create some amazing sounds! Last but not least the stock red led's have been replaced with rather funky blue ones. The switches, patch points and pitch control allow for incredible hands on control and sound variations. It can also be used a stock, standard 707. I'm sad to see this go but unfortunately needs must and I hope someone else will enjoy it as much as I have. Comes with copy of the manual, five patch cords to get you started and a uk power supply. I'll happily ship worldwide. It's not very heavy so it shouldn't be too much, please contact me for a price. Pick up is fine for anyone based in London as well. Hi, you're looking at an original and legendary Roland TR-808 drum machine! 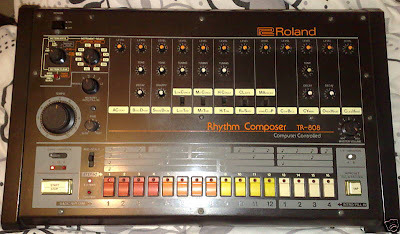 This 808 is in pristine condition, virtually mint and 100% working. All parameters function perfectly. Part of the legendary Roland TR Rhythm Composer series, an absolutely legendary and totally incredible sounding analogue Drum machine. This is probably the king of all analogue drum machines, nothing sounds as ridiculously good as an 808! Enough fat bottom end to turn your speaker cones inside out. Samples and recreation attempts by other companies are frankly futile once you've owned and used the real deal. Hook it up, press play and your done, instant gratificaction! A simple and esoterically perfect design! Very easy to program and create on. The unit has only been used in a non-smoking studio environment. It has just been fully serviced, calibrated and thoroughly checked over . So no dodgy, noisy pots, bad buttons or anything else. These are not cheap to service I can tell you that. All original UK machine, no modifications at all. Original Roland. I ship worldwide! Collection welcome otherwise item will be properly packed, shipped fully insured, and recorded with proof of posting, once cleared payment has been received. Shipping will be £20 for RM Special Delivery in the mainland UK. Contact me for a quote for other countries or areas. I only ever ship fully insured, tracked and signed for. Remember due to the UK pound having a very low currency value right now, International buyers (USA, Japan, EU, etc) will get an extremely good currency conversion rate! As a vintage synth collector and player of many years you can rest assured that all my items are properly checked and regularly serviced unlike 90% of the untested, faulty rubbish that generally clogs up eBay! I can't tell you the amount of times I've been caught out on supposedly '100% working' gear, I believe that's because the large majority of people selling this stuff don't actually know how it works!! Bank transfers are my prefered method they are fast now, usually free and very simple to do. I will supply IBAN and BIC codes for international buyers wishing to do transfers. I also except Paypal. Zero feedback bidders or those with excessive negative feedback will be contacted and vetted to check the sincerity of their bids. I can accept paypal , wire transfer, etc. Payment must be received within 7 days! If you can’t pay please don’t bid. Negative feedback and non-paying bidder reports will be filed against you, legal action taken and the item re-listed. Any questions mail me. Happy bidding!! !, TAKE A BID HERE! GIBSON Robot & Drum Machine! ROLAND TR808 with TB303 overdrive & distortion! A BIG orange by S-CAT! THANK You For The Drum Machine Big Mess! 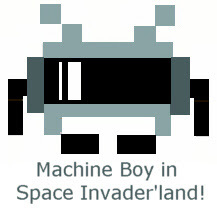 Come on who doesn't love Boy eats drum machine! ?....a live performance of Boy Eats Drum Machine, Portland OR, June 30 2007...great tune! A hung drum in my iPhone! I tried it. My drummer Alesis SR 16. (She's Ready) She is the best musician I have ever played. Never complains about the songs and never asks for me to buy her a shot. She just likes to solo once in awhile,here it is!.....hehehe! 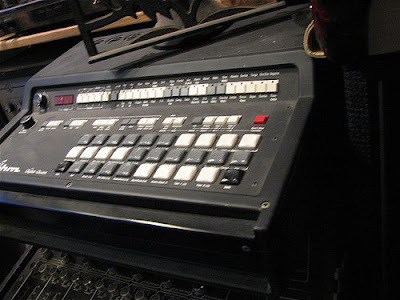 the mad thing is... this "ancient" drum machine still performs awesome! Live freestyle on a MPC4000 sampler...top work! Ok! maybe this is getting totally stoopid....but kinda interestin all the same, original post HERE! OK! not strictly a drum machine...in fact not a drum machine at all....but hey...if you're doin your drum machine thang you will probably at some point be using one of these little monsters!! !..go with me on this! ;-) original post HERE! just listen to what I've done this evening. Knob Twiddling is soooo nice!, original post HERE! Doing a little not too serious side by side-comparisson between two selfsourced x0xb0xes and a TB-303. Both of x0xb0xes uses the orginal Roland BA662-VCA but the blue one has a SK30Y-type transistor in the oscillator where the other one uses SK30-AO. Unfortunatly the soundcard distoreted a little while recording. :) original post HERE! The Roland TR-55 was one of the first Roland products - it is a compact rhythm box with excellent analog drum sounds - in fact, the typical Roland analog sound. A great feature is the BALANCE knob, which allow you to cancel the hihat sounds on every pattern - or to mix them to the pattern as loud as you want. Patterns can be combined - so let's be creative! ;-) original post HERE! HOW TO program a Roland TR909 in 3 mins! A small demonstration about how to program a Roland TR-909, original post HERE! sweet a$$ Circuit Bent Roland TR-505 by stix_vane. Original post HERE! Circuit bent Roland TR-505 with modular synth peices being tweaked live. original post HERE! FASTPACED Jazziness with the TR505! Having fun with a newly purchased Roland TR-505, I Hadn't seen any videos of just a pain demonstration of the 505's actual musical potential so I posted a non-Circuit bending video of the TR-505. originally posted HERE! Aint seen a picture of one of these little buggers for years....anyways here it is and don't it look good! 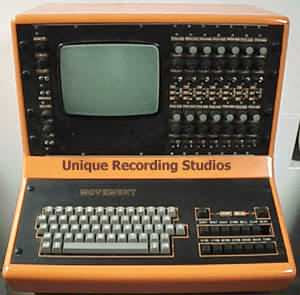 Now here's a photo of an old classic piece of kit to drool over, there's plenty more photo's where this came from HERE! INDAMIXX Advanced Session Drum Machine as a Sampler! Indamixx - Advanced Session - Drum Machine as a Sampler Sequencer. Video tutorial on how to select samples to trigger as a sequencer / sampler. Sir Mixalot and Kid Sensation samples. Preview of Attack on the stars part 1.
vacationing in a singularity for the past few weeks, Band is an all-in-one music application that combines an assortment of instruments and effects into one package that allows you to compose music using multiple layered instruments. Audience: Crowd noise, for those that want to add a touch of that live sound to their works. Bassist: A bass guitar with the usual scrollable fret board. Bar Blues: Essentially a sampler geared towards blues riffs, but includes individual blues guitar notes as well as riffs and loops. Drum Machine: A drum machine, not unlike MooCowMusic Drummer. 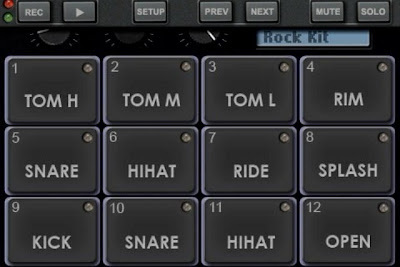 Funky Drummer: A sampler designed for drum loops. Grand Piano: A two-tiered piano that offers two octaves on one screen — very handy for smooth chords. Scratch: Not quite what I was expecting; you don't actually spin the wax here; instead, it's a sampler designed for scratch samples. Metronome: For those who need a little help keeping time, there is an audible metronome you can set at a specific volume and tempo. It even supports different time signatures, so that 6/4 song you have in mind will be no problem. Even if you're a great Guitarist also needs good timing. It is well known that when you practice with a metronome or along to a backing track, your sense of timing is developed much more quickly and your overall sound will improve dramatically. 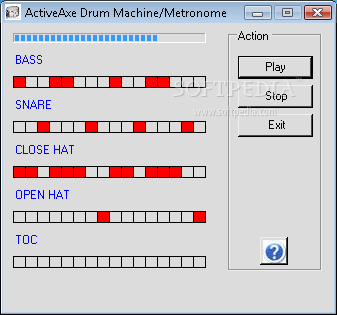 ActiveAxe Drum Machine can be used as a Metronome to help perfect your timing, or used as a Drum Machine to create a wide varietey of unique Backing Tracks to use while you practice! The Movement Drum Computer (the orange beast on the left) was made in England. It was used by Thomas Dolby, The Eurhymics and the Thompson Twins. and Simmons analog sounds at the same time. more info HERE!